In case you haven't peeked ahead on your calendar, the Fourth of July is next week, and it falls on a Wednesday. That's a crushing disappointment for lovers of hot dogs and long weekends. 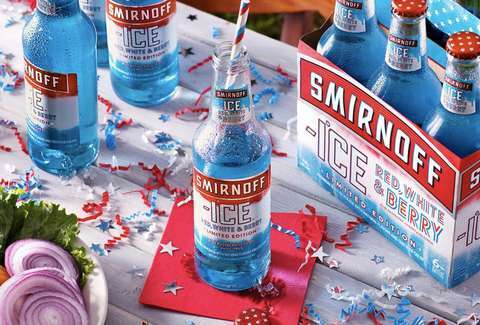 If you're despondent over the situation, Smirnoff Ice, of all things, is coming to the rescue. The favorite drink of college freshmen said in a press release that "celebrating Independence Day in the middle of the work week is, well... un-American." The company wants you to take a five-day weekend, and they're offering to pay for 100 people to take the time off work. Getting $500 for nothing is always a good deal. It will also buy you so much Red, White, and Berry Smirnoff Ice that no one could possibly question your patriotism. Just look at the bottle!